A local group hosts an Empty Bowls event in support of community food shelves. I’ve donated bowls for several years and each year try to donate something different than my normal body of work. 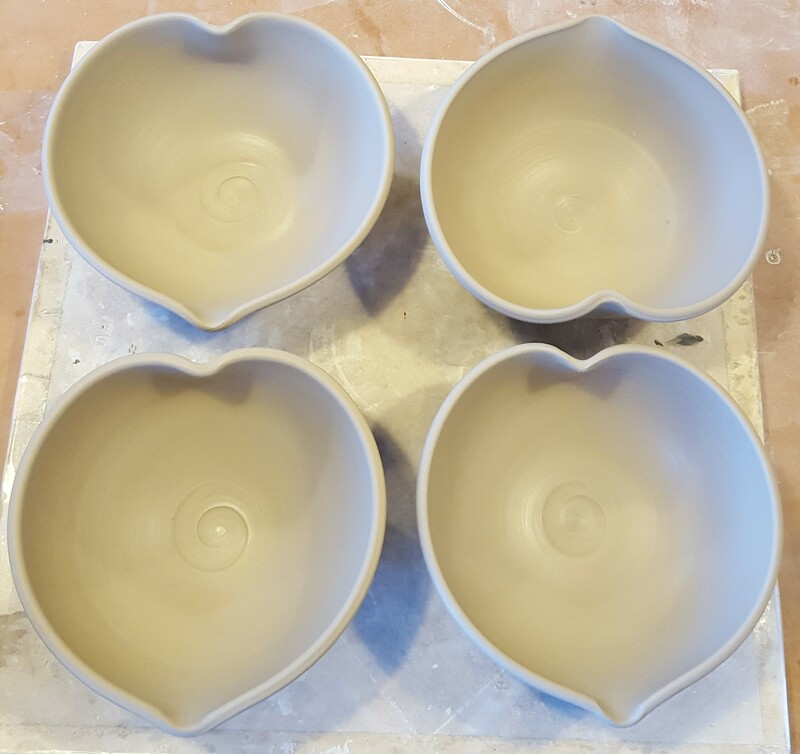 This year, I’m making some heart shaped bowls. The underside has a carved heart and the words “Be Kind”. Looking forward to seeing how they turn out. Be kind y’all.